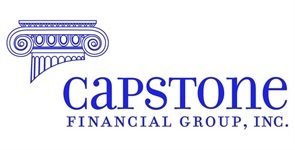 Capstone Financial Group, Inc. traces its roots back to the firm founded by Michael Dunham in 1983 to provide independent financial planning services to individuals and business owners. At that time, virtually all advisors were affiliated with large firms. Michael became a CERTIFIED FINANCIAL PLANNER ™ professional in 1986 and has focused on helping clients achieve retirement readiness since that time. In the mid 1990’s, we began working with clients predominantly on a fee basis, we believe that the objectivity and lack of bias that this approach brings is an essential element for any true financial planner. We are fiercely independent with no biases other than our bias to provide our client with superior investment alternatives, service and advice. Through our affiliation with independent Registered Investment Advisor, Access Financial Resources, Inc. and our custodian, Fidelity Investments, we provide comprehensive wealth management solutions to professionals and small business owners and provide high quality, high touch personal service to 401(k) participants.